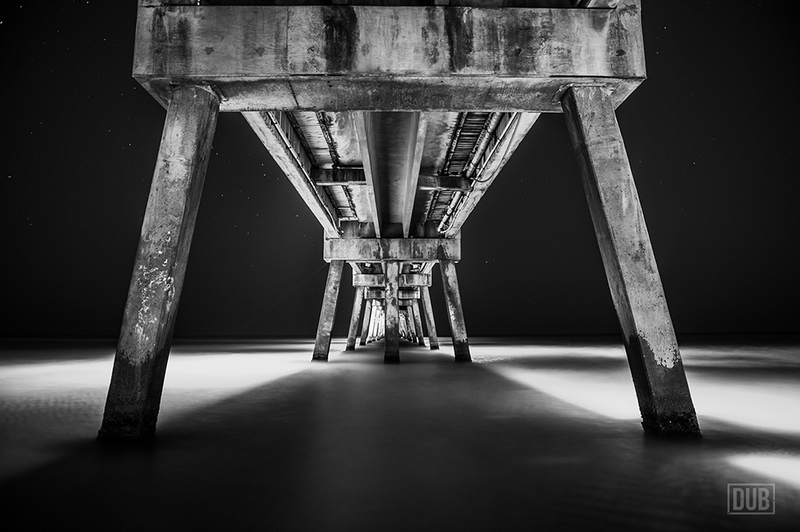 Taken under the Okaloosa Island Pier in Fort Walton Beach, Florida. I have wanted to try my hand at one of these shots forever. I finally got out to try one. With my tripod in the surf and struggling to figure out my settings and focus at 9:00pm at night, I finally got what I wanted. ISO 100, f/2.8, 25 second exposure. Nikon D700 & Nikon 24-70mm f/2.8.